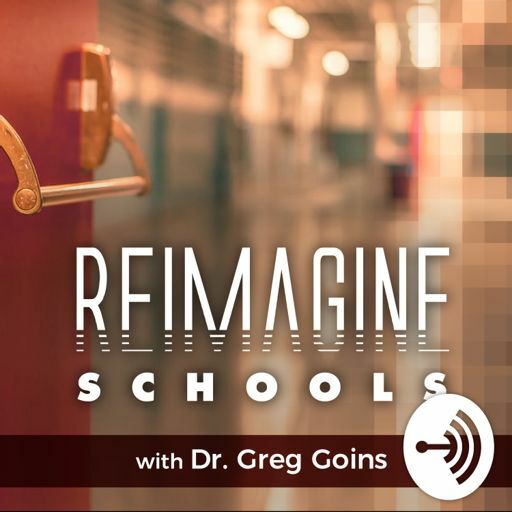 In this episode, the Reimagine Schools Podcast joins forces with Jethro Jones, the founder/host of the popular Transformative Principal Podcast, to launch our very first simulcast. Named as a 2017 National Digital Principal of the Year, Jethro Jones is currently leading the design process to launch a new K-12 Magnet School within his school district located in Fairbanks, Alaska, and shares his vision for redesigning schools from the "inside-out." Among the topics discussed in this simulcast are disrupting the status quo, personalized learning, and how technology (and going paperless) can elevate classroom teaching and create more productive workflows for school leadership teams. Twitter: @jethrojones. Websites: www.transformativeprincipal.org.